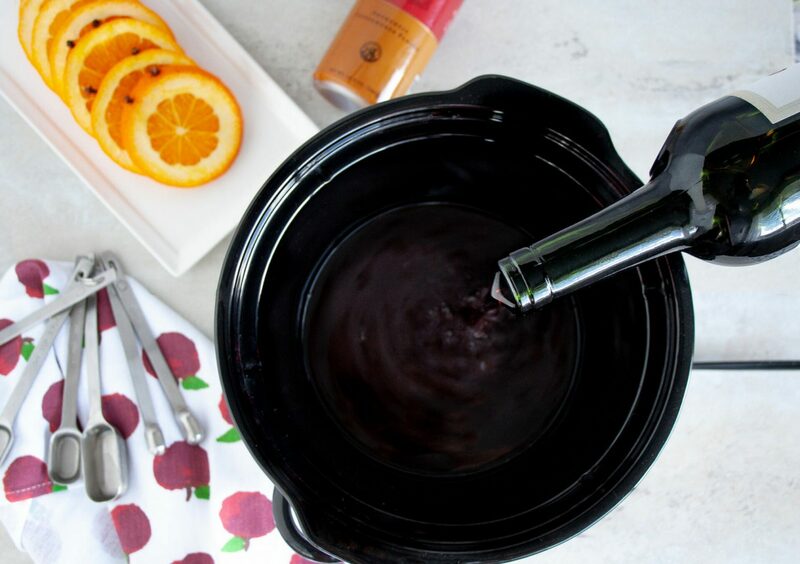 This Caramel Apple Mulled Wine is a slow cooker mulled wine recipe. With flavors of dry red wine, apple cider, and Torani Caramel Sauce, it’s deliciously robust with a hint of sweetness. When the colder weather comes rolling in, I start dreaming of warm cocktails. One of my favorites is mulled wine. 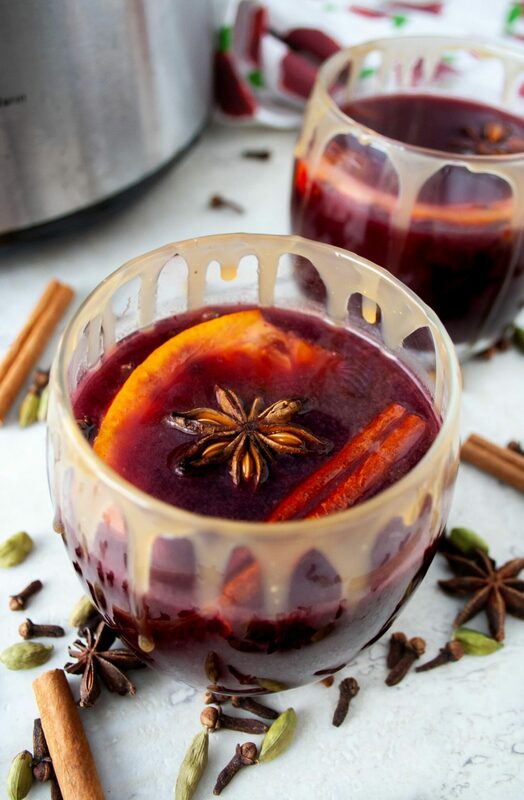 If you’ve never had mulled wine it’s dry red wine heated together with a variety of spices that make a flavorful robust drink. It’s a breeze to make and just about everyone loves it. With the entertaining season in full swing, I wanted to share my super easy slow-cooker Caramel Apple Mulled Wine. It’s got red wine, mulling spices, apple cider, and Torani Caramel Sauce for a drink that’s caramelized and booming with delicious flavor. It’s served with an easy to make Torani Caramel Sauce rimmed glass. A little hack I’ve learned for garnishing cocktails! So how is it made? Before we get into the recipe, I’ve got a rebate offer for Buy One (1) Torani Syrup, Get One Free! Now through 12/31/18 or while supplies last. Available at Walmart! 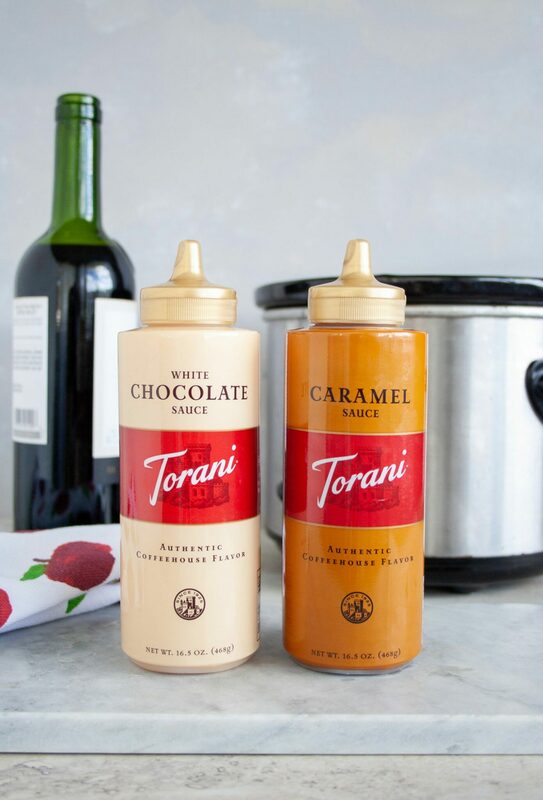 Visit your closest Walmart location and purchase two bottles of Torani Sauces – you can choose from Caramel, Dark Chocolate, or White Chocolate flavors! 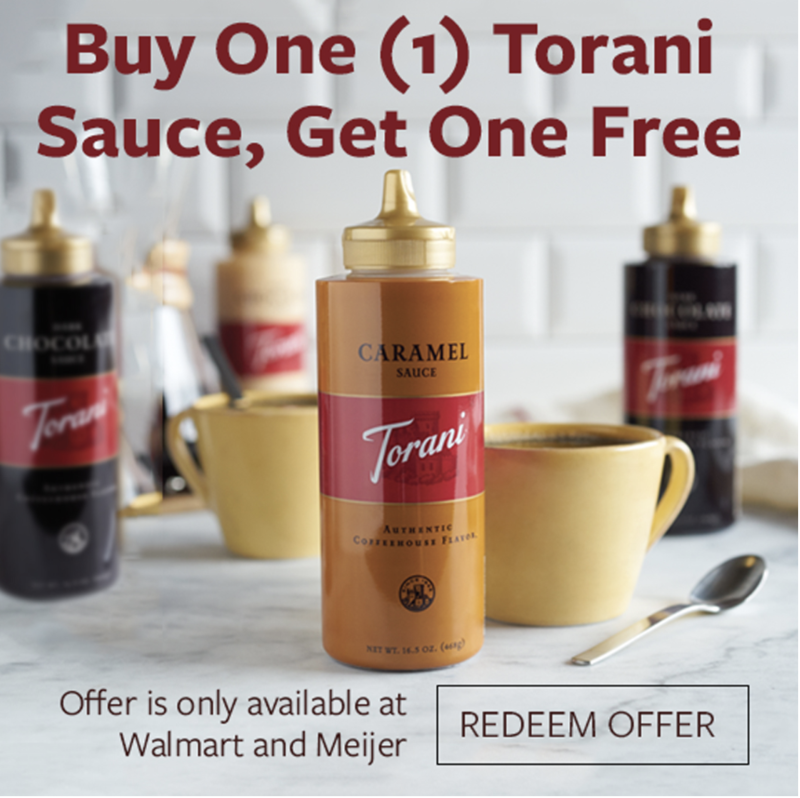 Visit your closest Walmart location and purchase two bottles of Torani Sauces – you can choose from Caramel, Dark Chocolate, or White Chocolate flavors. Once your receipt is verified, you’ll receive your money back on the second bottle! When I say easy, I mean e-a-s-y! This recipe is enough for 6 servings but can be doubled. Into a 2-quart slow cooker pour in one bottle of dry red wine. I prefer a Cabernet Sauvignon or Merlot. Add in 1/4 cup of Ruby Port Wine. Port gives it a berry depth but if you only have Brandy on hand, that will work too. Slice up one orange into rounds. Throw them in. For spice add in 6 whole cloves, 2 cinnamon sticks, 2 star anise, and 3 whole cardamom pods. (For easier serving you can stick the whole cloves into the orange rounds’ peel, to avoid whole cloves being served.) 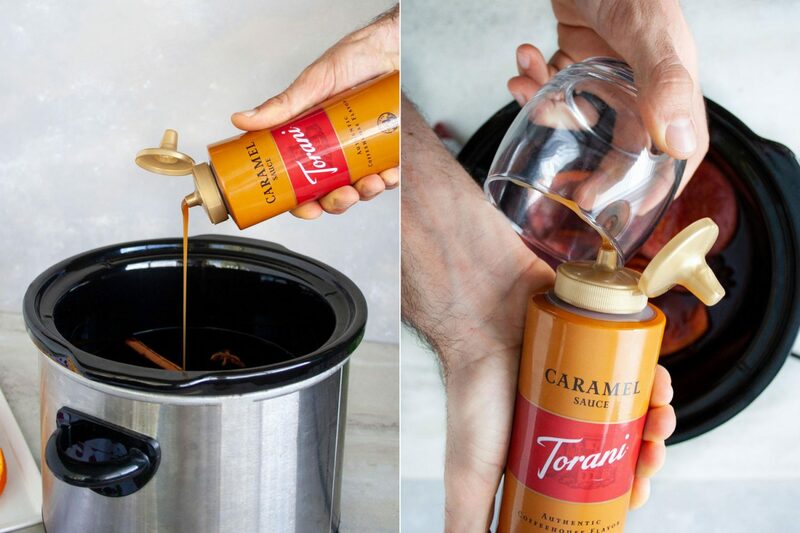 Lastly, pour in 4 tablespoons of Torani Caramel Sauce, give it a stir and add the lid. Set on LOW and let brew for 45 minutes – 60 minutes. If it begins to bubble turn the slow cooker down to WARM to avoid cooking the alcohol out. When the liquid is done brewing drop the slow cooker down to the WARM setting (if not already there) and serve. Right before serving rim glasses with Torani Caramel Sauce by simply using the pour spot to trace the lip of the glass. How easy, right? If you’ve been here a while, you know we love adding Torani Syrups into our cocktails for flavor boosts. 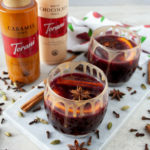 The Torani Sauces are known for being perfect in mochas and dessert toppings, they are also delicious in cocktails too. We’ve used Torani White Chocolate Sauce to make homemade white chocolate vodka. Then the Dark Chocolate Sauce for Chocolate Covered Strawberry Daiquiris. Torani Sauces have been an authentic coffeehouse flavor for over 90 years. They are made with real, simple ingredients like pure cane sugar & natural flavors. Not to mention super easy to find at your local Walmart. Their possibilities are endless, though my favorite use has to be this recipe. 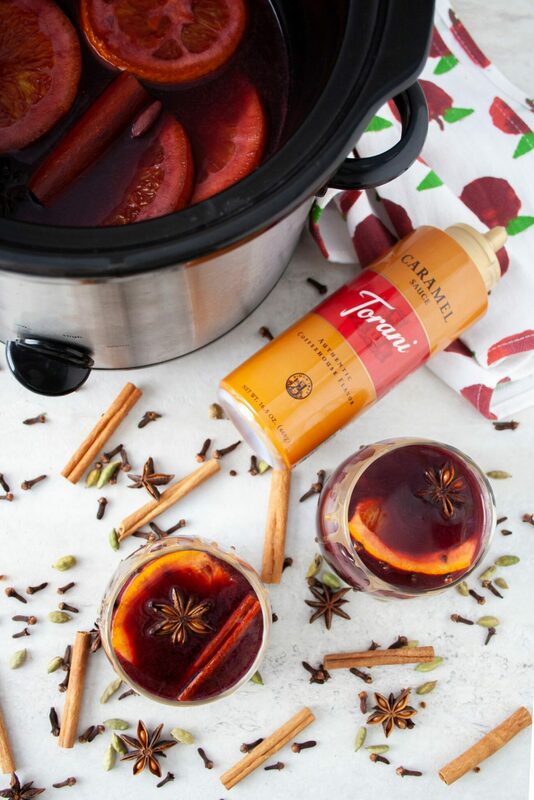 Slow cooker mulled wine made with red wine, apple cider, and Torani Caramel Sauce for a cocktail perfectly spicy and sweet. In a 2-quart or bigger slow cooker add in the red wine, apple cider, port wine, Torani Caramel Sauce, orange slices, whole cloves, cinnamon sticks, star anise, and whole cardamom pods. Stir, cover, and let sit on LOW for 45 - 60 minutes. Rim a heatproof glass with extra Torani Caramel Sauce by tracing the lip of the glass with the pour spot of the caramel sauce. Ladle mulled wine into the glass and serve warm. *Keep an eye on the mulled wine. If you start to see it bubble reduce heat to WARM immediately to keep from cooking the alcohol out. Aren’t these just a feast for the eyes? I love how when you take a sip there is a little extra sweet bite of caramel sauce from the glass. Slow cooker cocktails are the best because they leave you able to entertain guests without having to be stuck playing bartender. Plus, they make your house smell divine. Who’s ready to cozy up by a fire with a glass of this warm perfection? 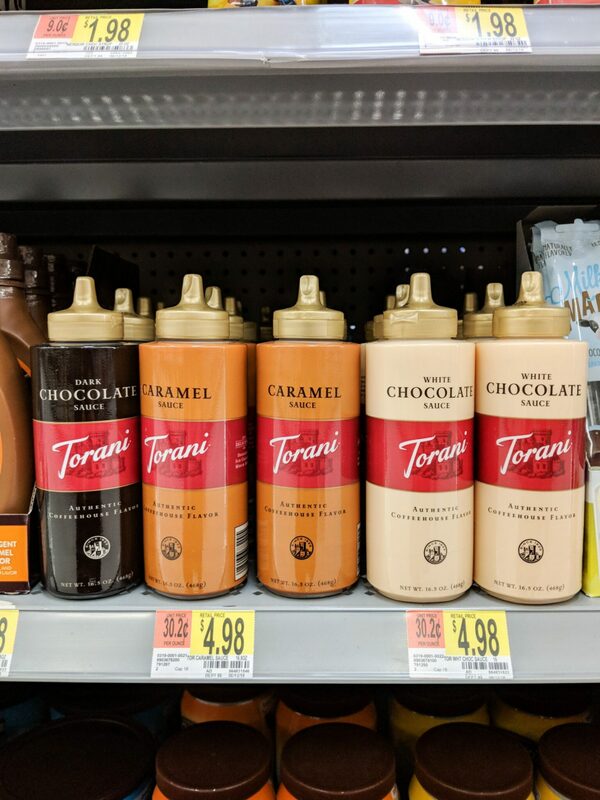 It was super easy to find the Torani Caramel Sauce and Torani White Chocolate Sauce at my local Walmart. 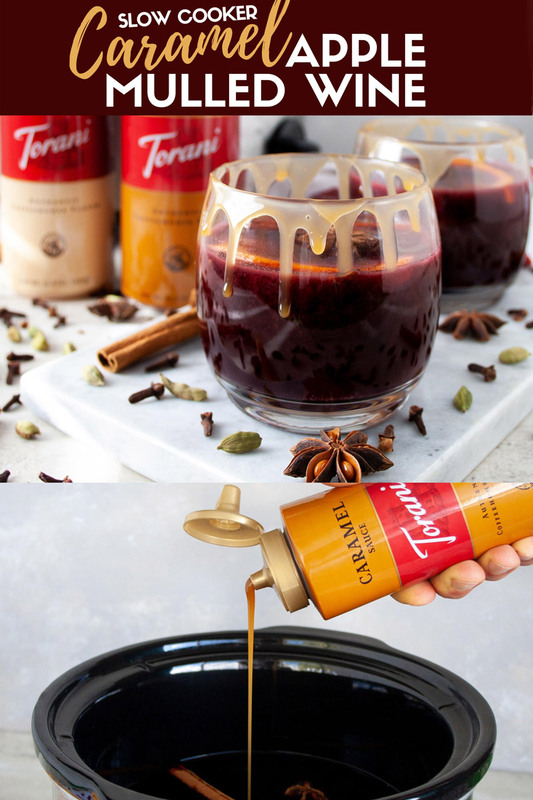 If you’re interested in making this Caramel Apple Mulled Wine, you can click on the items below to shop directly from this post or scroll down further on how to find them in store! 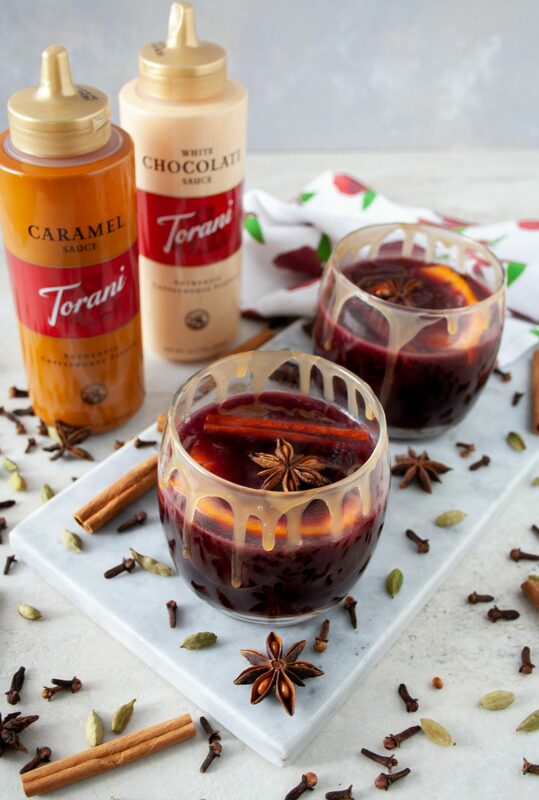 Torani is a flavor expert with products that create delicious beverages and desserts. It’s a 3rd generation family-owned business that has been crafting amazing drinks in the café industry for over 90 years. To get your hands on Torani Sauces for your next morning coffee or evening cocktail, head to the coffee aisle of your local Walmart store. You can even use this store locator to help you find your way. What are you sipping in this chilly weather? Give me all your cocktail and drink thoughts down below!